Summer starts in beauty and power for SCENIC. 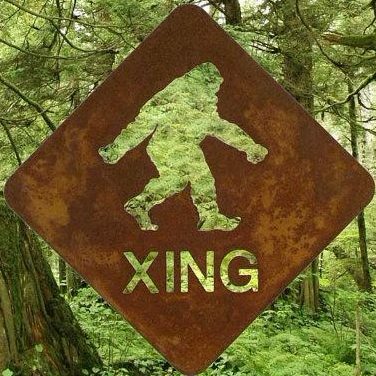 We upgraded our team to 11 editors as of now, all of them being experienced Sasquatch communicators and some who channel. Our articles are being shared on several other websites and our mail flow increases. I have started on a full time job with our friends of Focused Life Force Energy, who were instructed by Sasquatch Elder Kamooh to hire my services for a regular income. It is a once in a life time opportunity and an exceptional high consciousness team working toward bringing healing to the world, who shares great knowledge and conversations about the most elevated spiritual and psychic topics, from Elementals to Star Family. After returning from work today, the road man and his helpers we here to meet me. They brought poles for my tipi and we will do a special Sasquatch ceremony this weekend. They were guided by the Sasquatch to come and find me last week and to organize this special ceremony, which might be the first one of a series, as the Elders are gathering us. Meanwhile, our medicine tribe of sun dancers have returned from South Dakota and will do our usual Full Moon community sweat lodge by the river here. Blessings are flowing. Giving thanks to all our allies and collaborators, and to our Sasquatch Elders for their powerful guidance and support, deeply felt by those who are blessed to walk with them.